Why Stinging Nettles Should Be Added to your Diet! 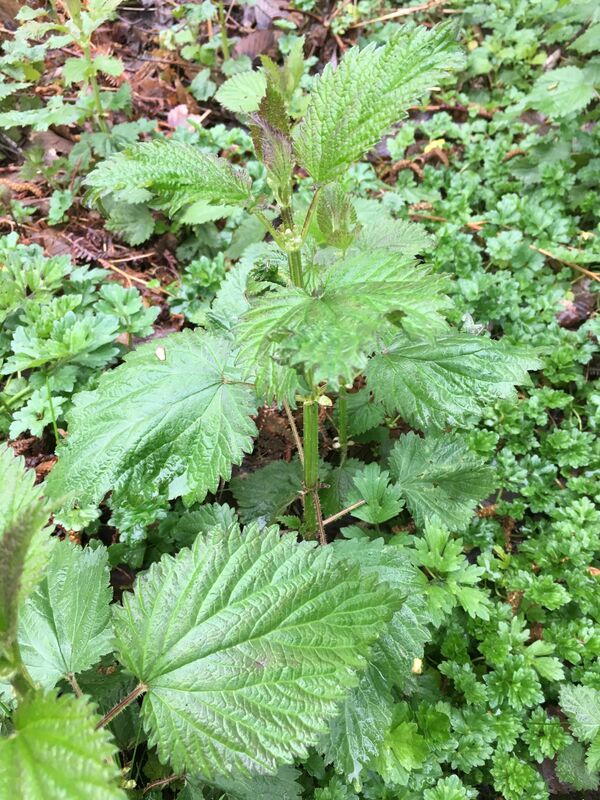 The time to harvest stringing nettles in Seattle is right now! When harvesting make sure that the area has not been sprayed with any chemicals – one telltale sign is if chemicals haven’t been used there are tons of weeds growing in the area. Also make sure to harvest off of roadways to avoid any runoff. 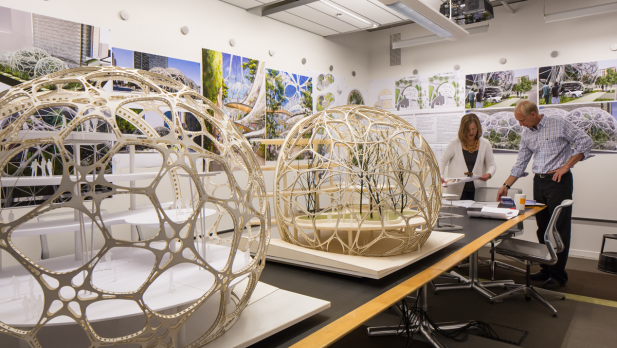 As the name implies, they will string you so harvest using gloves and pruners. 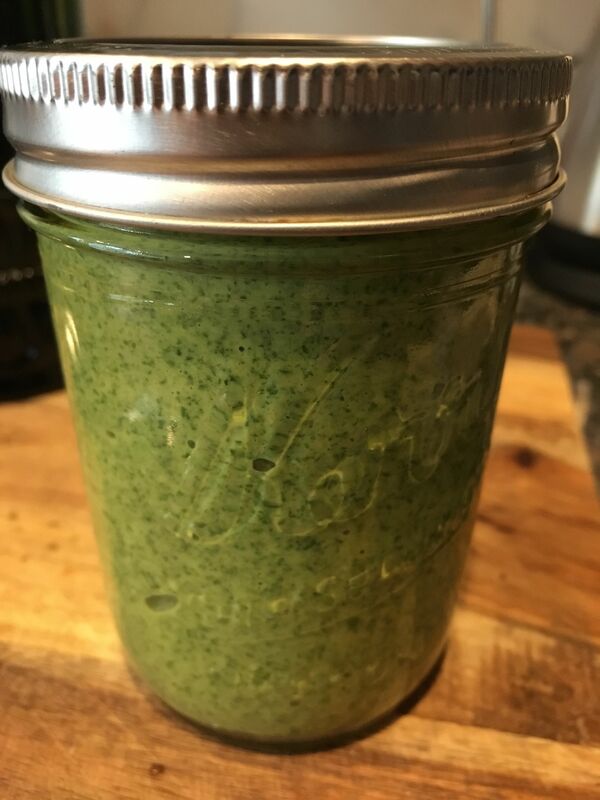 I first become familiar with stringing nettles two years ago when a friend and fellow writer, Jessi Bloom, invited me to harvest some with her to make pesto. I didn’t realize what an amazing and medicinal plant this was. 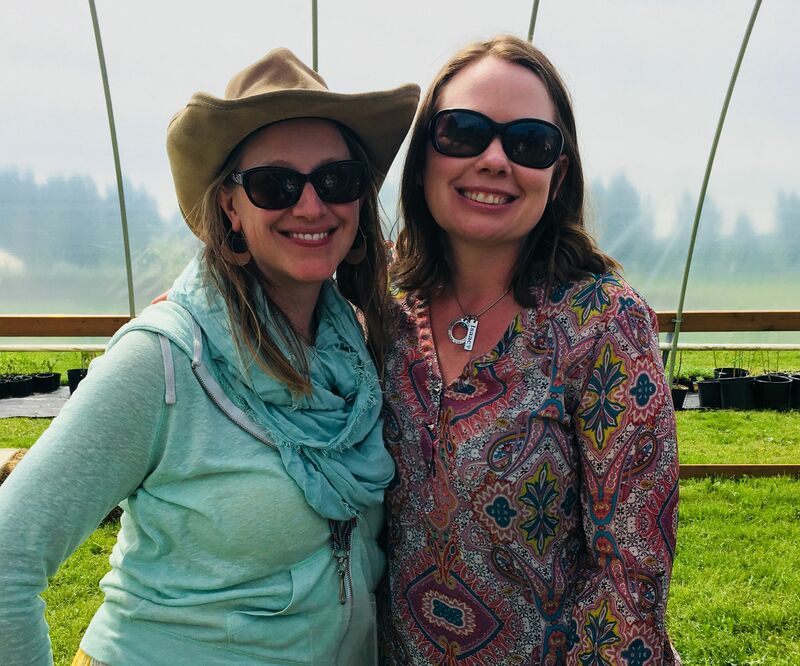 Over the course of my horticulture career, I have had my mind renewed and see plants for what they truly are – they are not just for our enjoyment aesthetically, but they were created by God to bring healing and wellness to the body, but unfortunately most cultures, except Native Americans, have not handed this extremely important information down through generations. There are hundreds of plants specifically mentioned in the Bible. Nettles are mentioned in Isaiah 34:13. One of the gifts from the wise men in Matthew 2:11 was frankincense and myrrh, which are used to heighten ones experience during prayer or meditation. Its earthy scent provides the user with grounding and a sense of spiritual connectedness. I often defuse it when I am having my morning quiet time in prayer and Bible study. Decreases urge to urinate, incomplete emptying of the bladder, painful urination, post urination dripping and reduced urinary flow. Stinging nettle root extract has also been shown to slow or stop the spread of prostate cancer cells. Arthritis sufferers often experience joint pain, typically in the hands, knees, hips and spine. Nettle works alongside non-steroidal anti-inflammatory drugs (NSAIDs) to allow patients to decrease their NSAID use. Another study published in the Journal of Rheumatology shows stinging nettle’s anti-inflammatory power against other autoimmune diseases like rheumatoid arthritis. Stinging nettle’s anti-inflammatory qualities affect a number of key receptors and enzymes in allergic reactions, preventing hay fever symptoms if taken when they first appear. The leaves of the plant contain histamine, which may seem counterproductive in allergy treatment, but there is history of using histamines to treat severe allergic reactions. 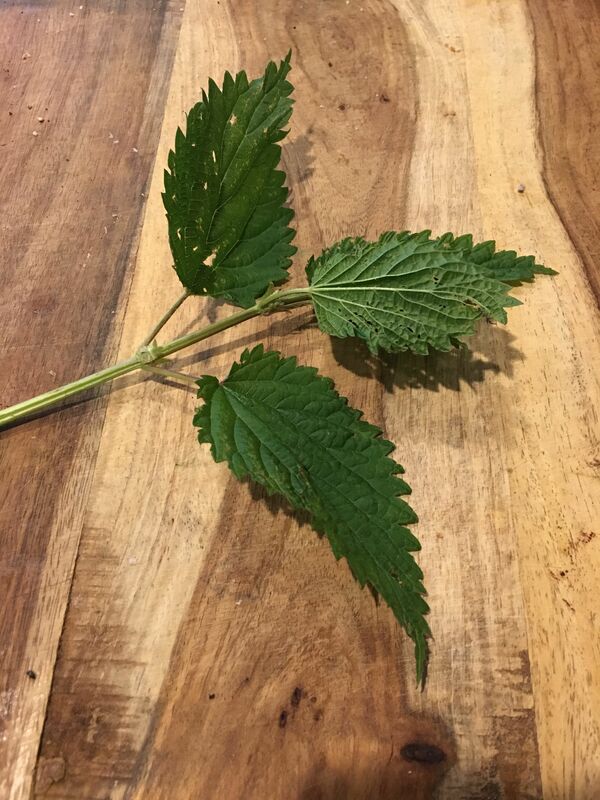 Another global study from the National College of Naturopathic Medicine found that stinging nettle use for allergy relief was rated higher than placebos in a 98-person, randomized, double-blind study. Certain products containing stinging nettle have shown, when applied to the skin, can reduce bleeding during surgery. The product, called Ankaferd blood stopper, is made up of alpinia, licorice, thyme, common grape vine and stinging nettle, and has also shown evidence of reducing bleeding after dental surgery. Eczema is a dry, itchy rash that can last on sufferers for a very long time. Because of stinging nettle’s antihistamine and anti-inflammatory qualities, it can be a natural treatment for eczema, as the Penn State University College of Medicine study shows. Sufferers can use a combination of nettle taken orally to tackle the eczema internally, as well as a cream to provide relief from the rash’s itch and redness. Now that I have sold you on why you should be eating stinging nettles. Here is a fabulous way to use them in your kitchen tonight! Place your nettles and arugula in a saucepan of salted, boiling water. Cook for 1 to 2 minutes. Pour over a strainer and press with a spoon to remove all excess water. 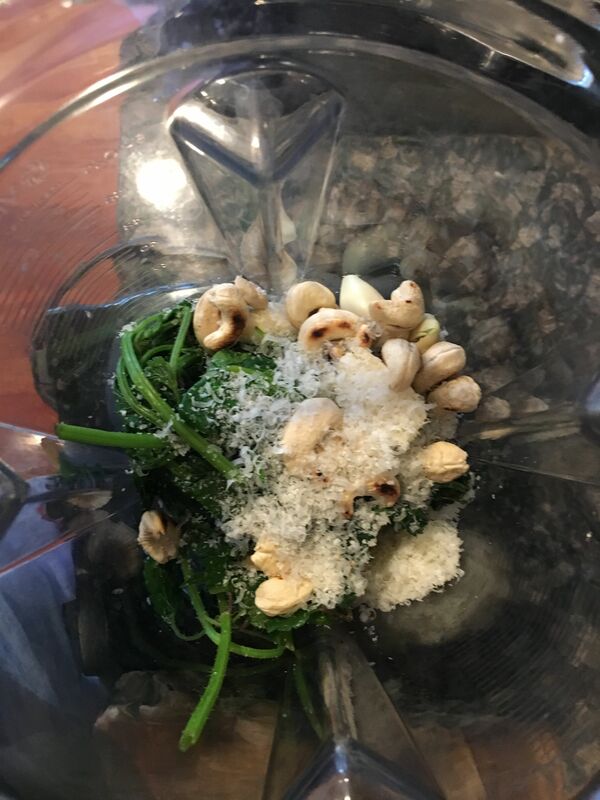 Using a Vitamix blender (or food processor) – combine greens, parmesan, garlic, cashews and salt – blend for a couple seconds. Then start to pour in olive oil through opening in top of blender or processor. Keep slowly adding oil until the mixture become a lovely pale green consistency (similar to the image). 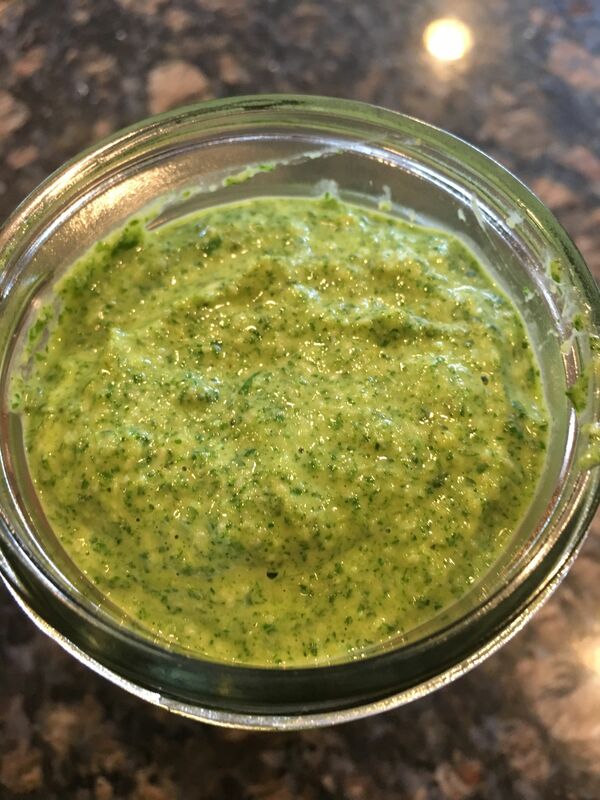 Place pesto in a mason jar for use on homemade pasta, mixed with mayo on a turkey sandwich or eating by the spoonful!